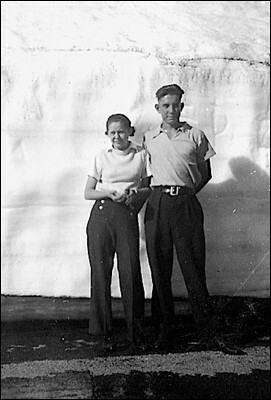 My parents, Fredene Ama Daugherty and Shirrel Rodgers Doty, in front of a snow bank at Crater Lake on May 17, 1936. They were in high school in this photo. They were married in 1940.